Again junk display and typical Nokia design. Why can't they get out of this unglu design????? 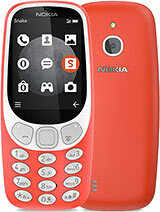 Most of the people are sick of the OLD nokia design. No sence of design, which nokia is known for! dum-stick, plain flat crapy look! waste of plastic in other words, thats how this phone looks like. the measurements of the phone is quite large... i still love nokia though. No. Entry level phones MotoC650, C380, siemens C65 etc are much better and sport a camera too...! 2004. 4,096 colors!!!!!!!! Nokia needs help, NOW. I know a psychiatrist in the U.K. He is very good. Maybe the matey who chose to put a rubbish screen can visit him. He is open all day. 4096 colours is quite good for a phone costing 100 euros.